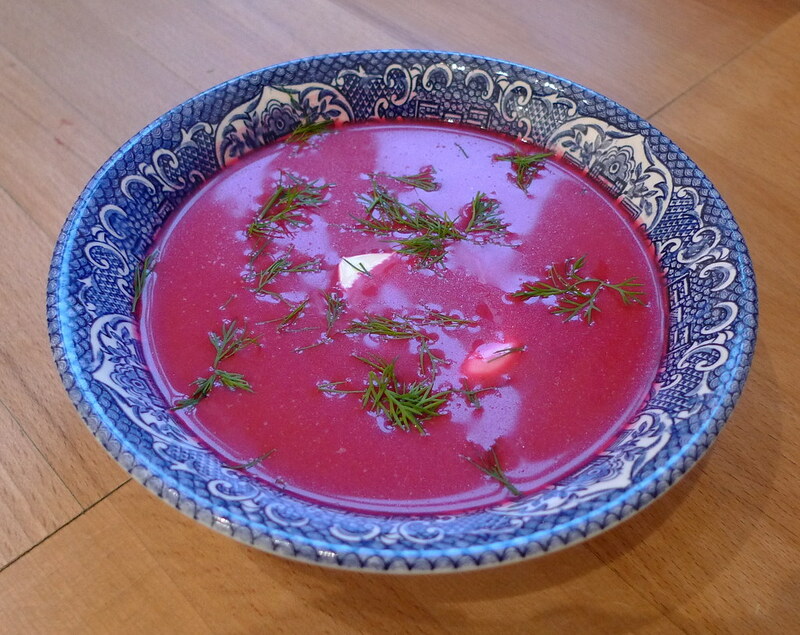 Adapted from BBC "The Delicious Miss Dahl"
A good way of using both beetroot and spring onion. Cover the beetroot with water and bring to the boil. Reduce the heat and simmer for 25-30 minutes, or until the beetroot is tender. Add the vodka, lemon juice, crème fraîche, and season to taste. Stir until mixed. The soup can be served hot or cold. Stir in a spoonful of crème fraîche and sprinkle the chopped dill over the top.